Chris Hamilton, a founding partner of the Dallas-based firm Hamilton Wingo, LLP, has been accepted into the American Board of Trial Advocates (ABOTA). 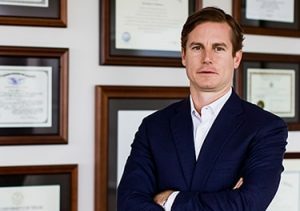 The trial team at Hamilton Wingo is led by owner and partner attorney Chris Hamilton. Described as “tenacious” and “passionate,” Hamilton fights for the rights of individuals and families who have suffered serious personal injuries and wrongful death resulting from tractor-trailer and other vehicle crashes; groundwater contamination caused by oil and gas fracking; medical errors committed by doctors, hospitals and other health care providers; unsafe business facilities; and many others.